A Bohemian vagabond who collects trinkets and treasures from sunken ships. 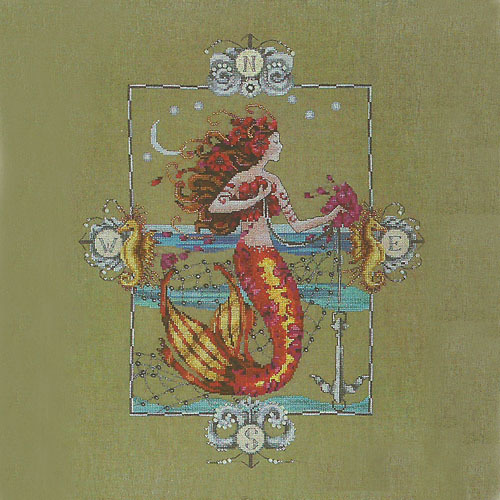 She is the pirate of the sea..
Design size: 12.5" x 15.6" with a stitch count of 200 x 250 stitched over two threads. Kit also available without fabric (£79.50), without DMC threads (£83.50), without chart (£86.00) or without both fabric and chart (£69.50).